At Grammar Chic, we’ve always advised our resume clients not to include an “objective” on their personal marketing collateral; instead of an objective, we say, your resume should include an Executive Summary. The reason for this is simple: On one level, everyone’s job search objective is the same. Your objective is to get a job; why take up space on your resume spelling it out? While that’s certainly something we believe in, we also understand that the job search process itself does involve some goal setting—and that, on the micro level not every job seeker’s goals will be identical. When you’re looking for work, the entire process can seem dispiriting, so it’s only good and right that you might try to organize your time and give shape to your search—perhaps making it your goal to send out 20 resumes each week, for example. 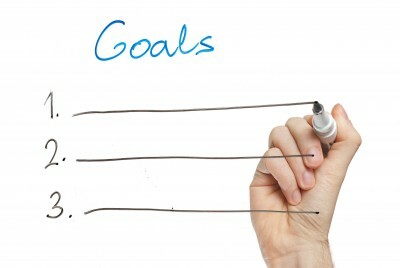 However, it’s important for the job seeker to choose his or her goals with some precision. Saying you want to get out a certain number of resumes each week is fine, except it might lead you to simply clicking the “apply” button on every online job posting you see, without any kind of overarching strategy and with no regard for whether it’s a job you might actually want or might actually stand to get. And that’s not so good. Set a goal to only apply for jobs you really want, from companies that are really hiring—rather than casting too wide a net. LinkedIn can be a great tool for finding companies to apply for; you can check out your dream companies but also click to see some related companies, and create a focused, targeted list of companies to apply to. Being strategic like this will ultimately be a better use of your time than applying for everything willy-nilly. As you search for employment, also make an effort to grow your social networks—especially LinkedIn. Set aside some time to think back over all the professional and academic contacts you have, and add them as connections. You never know when one of them might see that you’re looking for work and reach out to you with a lead or an opportunity. Set a goal to improve and enhance your online image, every single week. Set a goal of writing one professional blog entry, or posting two interesting, industry-related status updates to LinkedIn. Finally: For your own sanity as much as anything else, set a goal of doing some productive things that aren’t closely or directly related to your search. Spend some time volunteering somewhere—which will not only help you stay active and engaged, but will also give you something to use on your resume! Of course, you might also set a goal of perfecting your resume—something that should really be done as quickly and as urgently as possible. To learn more about our resume services, contact Grammar Chic today: Visit www.grammarchic.net, or call 803-831-7444.